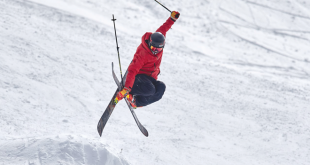 Formed more than 30 years ago from the Gunnison Ski Club, the Crested Butte Ski and Snowboard Club is steeped in local history as a conduit for young athletes to test the waters of ski racing while enjoying the sport of skiing as a whole. Former U.S. Ski Team members Chris and Casey Puckett got their start in what was then the Crested Butte Ski Club. David Chodounsky, current captain of the Dartmouth Ski Team, spent time under the guidance of the club, as did Max Lamb, who is currently the third-ranked J1 slalom skier in the nation. The club provides an introduction to ski racing through the Cyclones program and continues to offer opportunities for young athletes through racing age classes J5 (ages 7-8) to J3 (ages 11-12) and sometimes J2 (ages 13-14). Steve Hamilton is the current Chief of Race and has been a part of the ski club as a coach, board of directors member and a parent for more than 15 years. He sees the club as an opportunity for skiers of all levels from the Pucketts and Chodounskys on down. In addition, Hamilton sees the club as a way to introduce a solid foundation for skiers, whether they go on to race or not. “Racing is the backbone to developing skiing whether you keep racing or go on to compete in big mountain events or just ski for fun,” says Hamilton. He points out that a majority of the top big mountain competitors in this day and age come from ski racing backgrounds. He also touts the opportunity to ski anywhere on the mountain with his kids, who grew up in the ski club program. Dolly Schaub is in her third year as the head ski coach and has served on the club’s board of directors as well. She explains that the program’s philosophy starts with the Cyclones program for ages five to 12 years old. “The purpose of the Cyclones is instilling a passion for skiing and giving them the opportunity to explore ski racing,” says Schaub. In addition, there’s another tenant to the philosophy that transcends all the athletes. “Getting the kids having fun and skiing fast,” says Schaub. This year the club has seven kids in the Cyclones program and 20 racing in age class races. 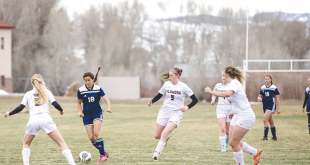 While most of the athletes come from Gunnison and Crested Butte, Schaub also has skiers from as far away as Lake City and Westcliffe. While the Cyclones get together on Saturdays for free-skiing and some training with gates, the age class racers oftentimes train as much as four times a week, both free-skiing and running gates, including early morning work on the ski area before it’s open to the public. “It’s been fantastic training this year,” says Schaub. Schaub has two new coaches working with her this season, as well as one returning veteran. Frank Mesiti came in this year and works with the J5 age class. Bre Hickel is also new and coaches the J4 age class. Then there’s Marni Joslyn, who has been coaching for the ski club for eight years, the last seven as the head J4 coach. Joslyn grew up racing for a similar ski club in Winter Park and coached in Winter Park before coming to Crested Butte. After spending some time here working as the race director for Crested Butte Mountain Resort and an official timer, she got a job with the ski club doing what she loves and can’t seem to stop. The Crested Butte Ski and Snowboard Club is now preparing for the 28th Annual Dan Prater Memorial Cup, known as the Prater Cup, on Crested Butte Mountain Resort Thursday through Sunday, February 21-24. The Prater Cup is a qualifier event for the USSA Rocky/Central J4 Junior Olympics in Winter Park March 18-22. The weekend attracts as many as 220 skiers from ski clubs throughout Colorado, Wyoming, New Mexico and Arizona for Super G, Giant Slalom and Slalom races. Joslyn has her hands full as she and Hickel prepare 11 of their athletes for the upcoming races. Fortunately, Joslyn knows exactly what her athletes are going through with the event on the horizon. Joslyn won the Prater Cup in 1981 and has seen some success in the past few years as a coach, with as many as half of her skiers qualifying for the Junior Olympics the past several years. Still, Joslyn maintains a relaxed atmosphere for her racers as they prepare for the Prater Cup. While she feels the team is looking strong this season, qualifying for the Junior Olympics is far from her main objective for her athletes. The Prater Cup races start on Friday, February 22 with a Super G starting on International and following Championship to Buckley. Saturday, February 23 will be the boys’ slalom on Buckley starting at 8:30 a.m. and the girls’ Giant Slalom on Championship and Buckley starting at 9:45 a.m. The races conclude on Sunday, February 24 with the girls racing Slalom on Buckley starting at 8:30 a.m. and the boys racing Giant Slalom on Championship and Buckley. All races finish at the bottom of the WestWall lift.